The Royal Children's Hospital Early Learning is registered for 159 equivalent full time children between 6 weeks and 5 years of age. Places are allocated to the Royal Children's Hospital employees, whilst our Kindergarten is open to the wider community. We are a fully accredited service, utilising hospital and community resources within the City of Melbourne. The Royal Children's Hospital Early Learning is open from Monday to Friday from 6:45am till 6:30pm. The cost is currently $130 per day. There is a discounted rate for full-time positions at $636 per week. Families may be eligible for Child Care Benefits to assist with the cost, and are encouraged to contact the Family Assistance Office/Centrelink for further information. RCH employees have a range of payment options also available and are welcome to find out more information from the service directly. Ten purpose-built learning environments, with three adjacent outdoor spaces. Unique on-site location encourages families to be involved in children's learning, whilst also provides an opportunity for children to explore and build relationships with hospital departments, Royal Park, and other local facilities. Each learning environment provides a flexible approach to educating and caring for children, which may include progressive meals and indoor/outdoor play. The curriculum is based on a play based philosophy which invites each individual child to be open-ended, hands-on and self-guided in their learning. Our teaching practices are strengthened by theoretical underpinnings and formal training from Howard Gardner’s Theory of Multiple Intelligences, as well as guided by the National and State curriculum (VEYDLF, EYLF). We engage with children individually and as a community of learners, supporting their unique interests and learning, as well as the contribution they make to the whole learning environment. All curriculum documentation is shared via an online portal 'Storypark'. This is a private space where families can communicate with educators, as well as invite extended family to be involved in children's learning during their time with us. 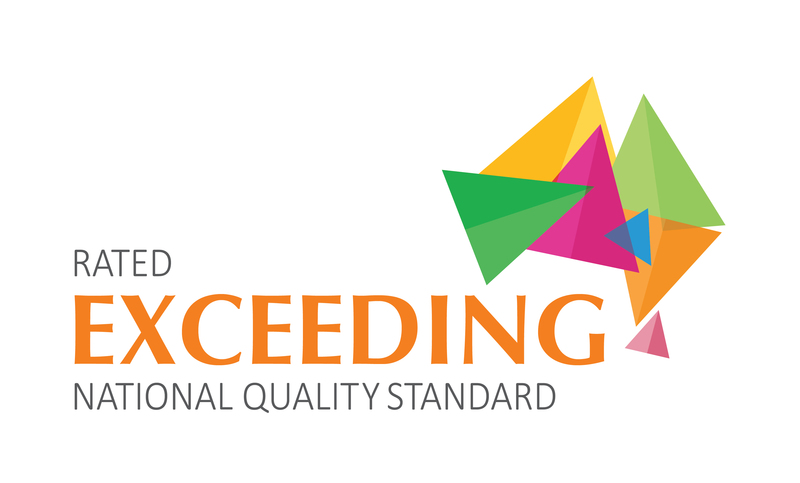 The National Quality Framework (NQF) aims to support and raise the quality of care, and drive continuous improvement and consistency in early childhood education. As part of this, services are guided by national legislation, regulations and standards to maintain and improve services in the areas that impact on a child’s development, education, safety and wellbeing. The National Quality Framework also provides families with quality information to help them make informed choices about services. For further information, please refer to: http://www.acecqa.gov.au/national-quality-framework. RCH Early Learning is fully accredited and was last assessed in 2015. The service received an exceeding rating.